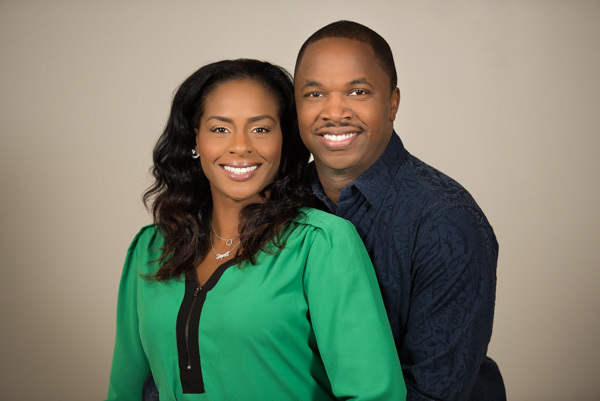 Derrick and Zelphia Raines are the Lead Pastors of Excel Church, located in Jacksonville, Florida. Their mission is to help people win in life. Their heart and passion is to see the lives of people advanced and changed through the Word of God. They purpose to create an environment conducive for Christ to become the Final Authority in the lives of people. Pastors Derrick and Zelphia believe the greatest among us are servants and for years have demonstrated how each believer can successfully serve God, family, and their community. Pastors Derrick and Zelphia have served under their Spiritual parents, Michael and Connie Smith, for 15 years and graduated from SOMET [School of Ministerial Education and Training] in 2005. Pastor Derrick later became a licensed Minister in 2005, and in 2008, Derrick and Zelphia were ordained as Elders at THE CHURCH of Jacksonville. Pastors Derrick and Zelphia have been devoted to each other in marriage for 19 years. They have a son and daughter, Marvionte and Zahria, who serve along side them in ministry. Pastor Derrick is a Bible teacher, visionary leader, and a strategic team builder. He has a passion for developing people and leaders to embrace victory through our Lord and Savior, Jesus Christ. Pastor Derrick earned his Bachelors of Arts in 1995 from Catawba College in North Carolina. Pastor Zelphia is a loving wife and dedicated mother with a strong commitment to helping families. Pastor Zelphia’s passion to see women find wholeness has led her to co-lead our Women’s Morning Group for the last three years. She strives to help women be spiritually, emotionally, and physically fulfilled. Pastor Zelphia is currently working towards completing her studies in Theology. Pastors Derrick and Zelphia also have a very strong passion for people to have Financial Dominion in life. They serve as the Directors of Pathway$, a Financial Literacy program. They teach people how to gain dominion over their personal and business finances. Through their efforts, thousands of people have been helped to “break the ceiling” financially, living out the Will of God for us to prosper.